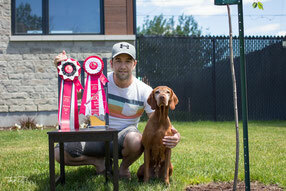 Vesper is officially in the top 10 Vizslas in Canada for the year 2012. She completed the year tied in 7th place right behind her brother Murphy (5th place), all this with limited showing throughout the year. Congratulations to everyone who competed this year and best of luck for 2013!